It seems as if I’ve been overwhelmingly negative with my opinions, particularly when it comes to the Magic Kingdom, as of late. I’m hoping that those critiques came across as critical, with rationale and solutions, but not whiny. However, today I want to talk about something that worried me and was handled with incredible taste. With the park-wide opening of Sorcerers of the Magic Kingdom there would need to be a fixed point for beginning missions. The spot selected sits just inside the park’s front gates, the fire house of Engine Co. 71, in Main Street U.S.A.’s Town Square. When I think of wielding magic and spells, I don’t automatically think of a fire station. Heck, I don’t even think of Main Street! When I heard that this was going to be the hub of the Sorcerers of the Magic Kingdom, I became a little worried that the simplicity that I love in Main Street U.S.A. would be overrun in an attempt to shoehorn in the latest and greatest. My fears were unfounded. There may be an a-frame sandwich board out front that proclaims where to find the Sorcerers of the Magic Kingdom, but every other outward appearance simply screams the turn-of-the-century station. 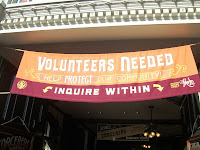 The only other outward signage that came a calling with the game was a banner hanging over the entrance that entices volunteers. 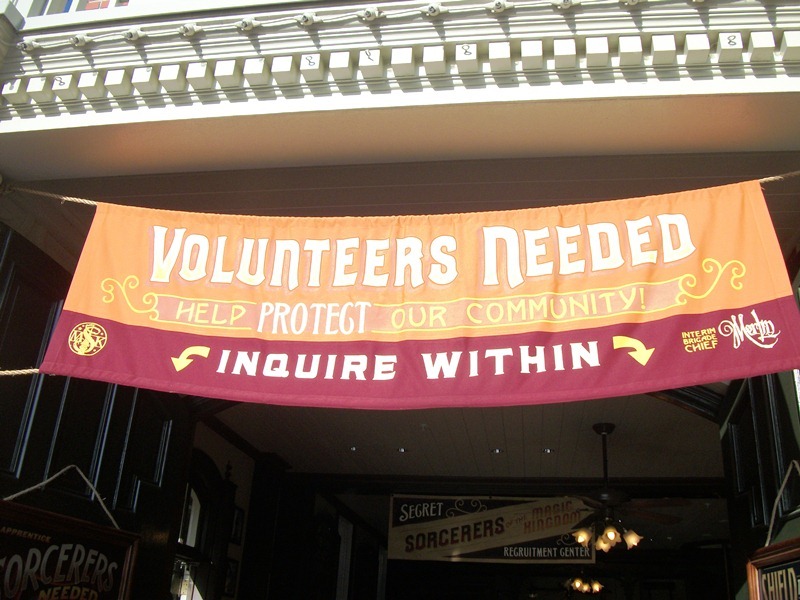 The ornateness of the design can be forgiven, this is the Magic Kingdom after all, but otherwise it is no different than any other banner or sign that could be found in front of a fire station. In fact, aside from the modern touch that it was on a back-lit display sign with plastic letters, there is a similar declaration down the street in front of my local fire house. Now, this does keep guests guessing as to what and where Sorcerers of the Magic Kingdom takes place. During my recent trip I had no less than half a dozen other guests ask me what I was doing and where they could start playing. I think making Sorcerers a word of mouth activity is a wonderful idea and embodies the turn-of-the-century gossip party lines and telephone activities. Although, this insight may just be a side effect of the rose shaded glasses I wear on occasion. Turning back to the station itself, guests have to step inside to really begin to see the spells and sorcery taking place. Listed as a “Secret Recruitment Center” on what is likely an unnoticed banner, the station is buzzing with portal training and a word from the game’s host, Merlin. 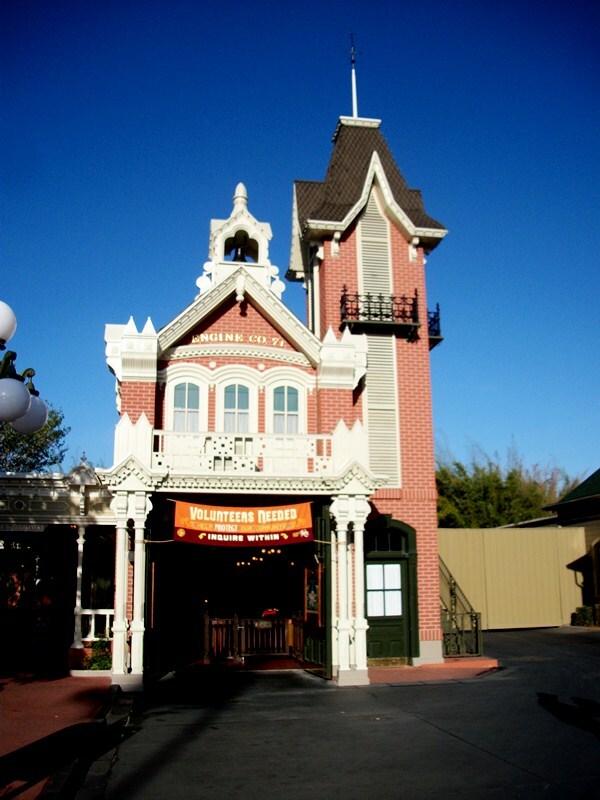 It also includes the elements that have long made the station a Main Street staple, fire poll, fire buckets and hoses, horse stalls, and the patches from the homes of true heroes, firefighters, which have come to the Magic Kingdom from across the country. 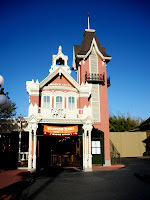 All in all, the park has gained an intriguing and addictive game for guests to engage in while maintaining the standard of time in place that has defined Main Street U.S.A. for the past forty years.